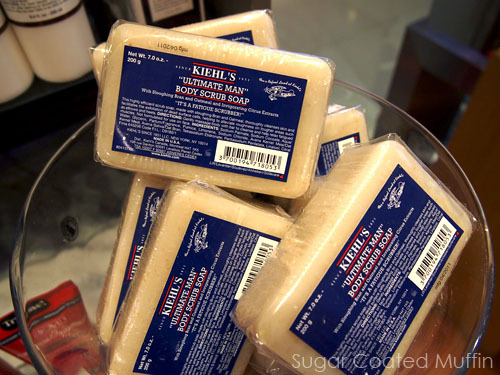 When I hear Kiehl's, the first things that come into mind are the Kiehl's boys & strangely enough, cotton candy lolz.. Anywayy... Guess what's in this brown bag? 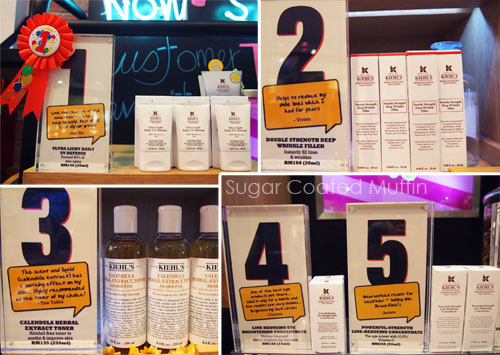 3) Test them out and leave your review on the Kiehl's FB page! 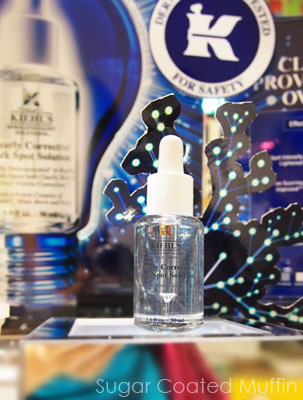 Best review of the week wins a full size bottle of the new Kiehl's Clearly Corrective Dark Spot Solution worth RM 200 ^_^ A winner will be picked every week in March so there's still 4 more bottles to win! If you want to win more prizes, here's something else you can do. 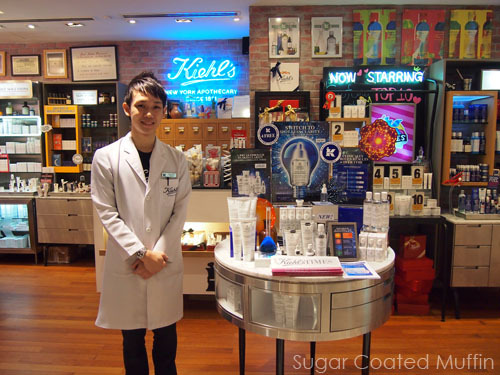 "Hi Kiehl's Fans! Visit us at our pop-up store in MidValley Megamall to learn more about our brand new Clearly Corrective Collection! 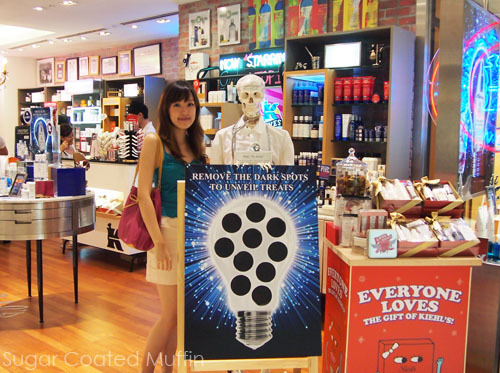 Take your most creative, "radiant" picture at our giant light bulb with Mr. Bones and stand a chance to win a FULL SET of KIEHL'S CLEARLY CORRECTIVE COLLECTION worth RM720! 4. 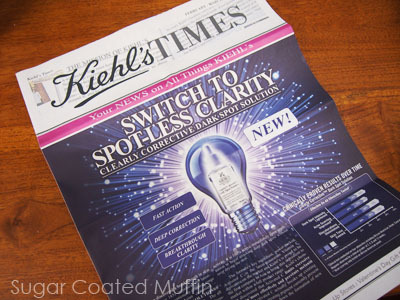 Winner will be picked by Kiehl's (based on creativity)"
The Clearly Corrective Spot Solution, star product of this range. "Ultimate Man" Body Scrub Soap. Hahahaha! Guess I shouldn't use this, huh? Top 10 sellers! If you're not sure what product to get, perhaps you might wanna check out what other customers like. 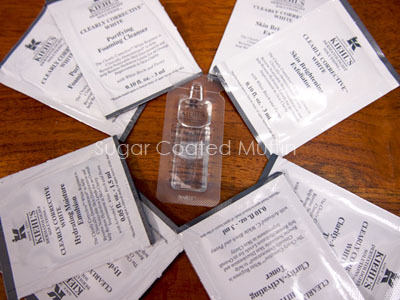 Top 5 are Ultra Light Daily UV Defense, Double Strength Deep Wrinkle Filler, Calendula Herbal Extract Toner, Line Reducing Eye Brightening Eye Concentrate (short review of this HERE) & Powerful-Strength Line-Reducing Concentrate. 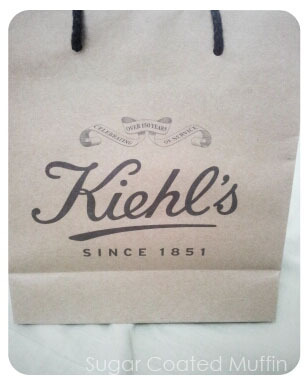 Another interesting new thing is their newly introduced Friends of Kiehl's (FOK) program. You are entitled to sign up with a purchase of RM250. 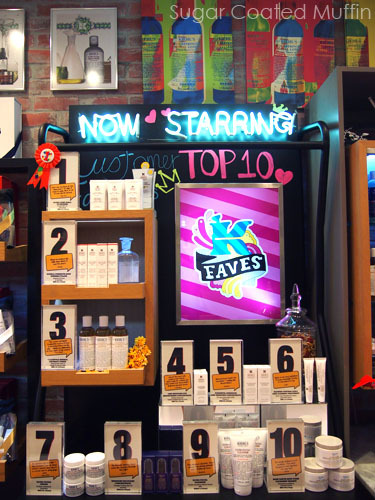 You can pick up the brochure from any Kiehl's stores but here's a summary. I'm sure we all like being rewarded for purchasing stuff. Redeem an RM 100 gift certificate when you purchase a total of RM 1000 within 12 months. 10% discount during your birthday month! Exclusive invitations to launch parties, workshops and pre-launch sampling. Everything is done online too so yay! Glad they are doing their part to save the environment. Pic with the popular Mr Bones. I always like how Kiehl's stores look. So colourful yet everything looks good together. 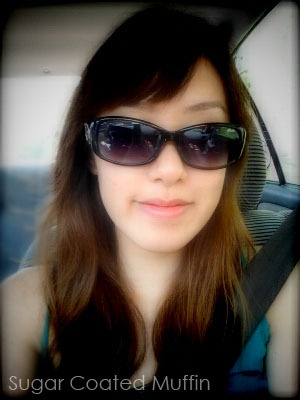 Summer all year long here.. haha! i tried the midnight recovery concentrate the other day and i quite like it! 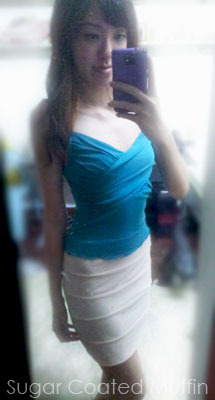 guess i'll check this out when i go to midvalley.. The new range smells like the MRC :) but the Spot Solution is quite different from it, IMO. omg one bottle each? that's so nice! :D i want some too! I have actually tried it before but it didn't give me results like what I read online. Giving it a second shot now! What treats did you find under the dark spots on the poster?